Russia’s new Arctic super-port must get a railway connection, President Putin underlines. Speaking in his major annual press conference last week, Vladimir Putin highlighted the importance of Sabetta in Russian Arctic developments. The port will be connected with the Russian railway grid, the president confirmed. 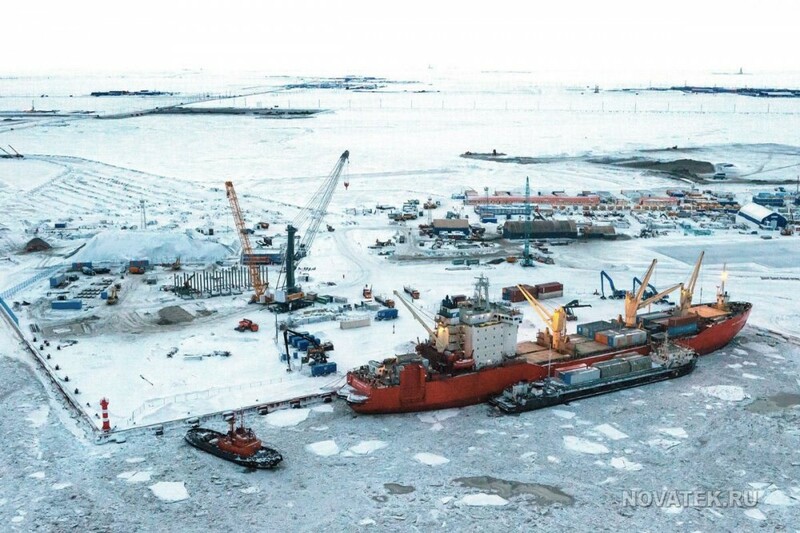 Located on the northwestern shore of the Ob Bay, the Sabetta port is primarily made in connection with the development of the Yamal LNG, Novatek’s major gas project in the Yamal Peninsula. However, Sabetta is planned to handle far more than the annual 16,5 million tons of Yamal LNG. According to Russian federal authorities, which are financing the lion’s share of the logistical hub, port capacity could ultimately increase to as much as 70 million tons of goods per year. In the press conference, Putin underlined that he wants to see Sabetta develop into ”a universal port for all kind of goods”. According to president, the BAM and Trans-Siberian Railways could both supply goods to the port. ”This is a very convenient place with really good logistics”, Putin underlined. He now invites foriegn partners to invest in the project, a transcript available on the presidential website reads. The Swedish company Rise Capital is already in the process of involving in the project, TASS reports. If built, the new railway line would connect with Bovanenkovo, the major regional gas hub developed by Gazprom. From Bovanenkovo, there already is a railway connection to the station of Obskaya and from there further all the way through the Komi Republic and to Arkhangelsk. Furthermore, the projected Sabetta railway is seen as an integral part of the Northern Latitudinal Railway (“Severny Shirotny Khod”), the grand initiative on the building of a 707 km east-west connection between Nadym and Labitnangy. The line would cross the Ob River and consequently link two of Russia’s key Arctic railway lines, the Northern Line from Arkhangelsk and the line between Nadym and Tyumen. If built, the new line would enable you to take the train from Arkhangelsk and proceed through Labitnangy, the current last stop on the line, across the Ob Bay and all the way to Novy Urengoy and Surgut. The project was formerly called the “Ural Industrial – Ural Polar”. The project comes with a price however. Required investments are estimated to 190 billion rubles, a staggering sum for a federal budget in major hardship. Although planned built in a private-public partnership, the sum could be beyond current reach. According to Governor Dmitry Kobylkin of the Nenets-Yamal Autonomous Okrug, only the bridge across the Ob River is estimated to cost 70 billion rubles, TASS informs.